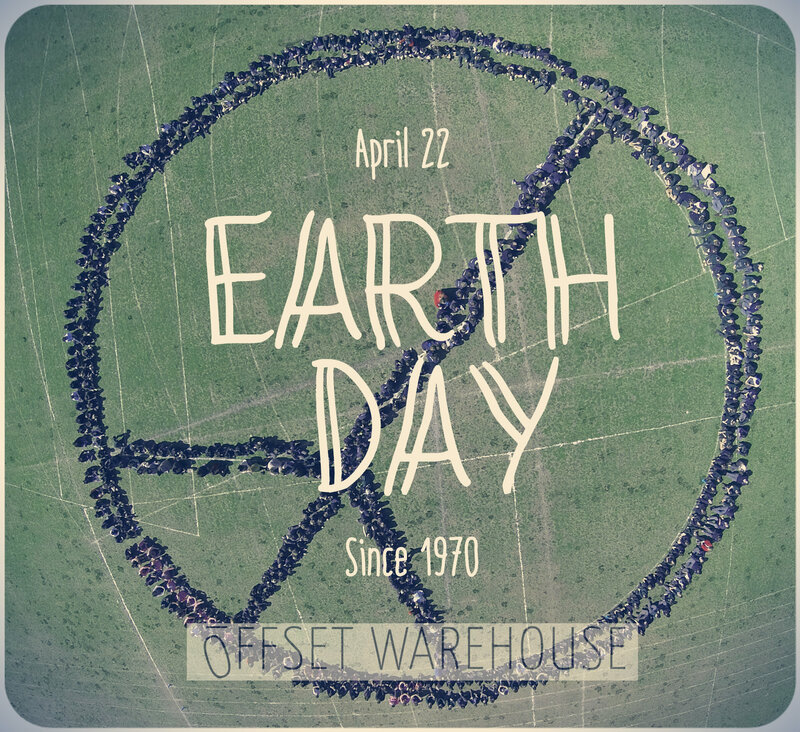 Environmentally aware and considerate of the natural resources that the earth provides, Offset Warehouse is proud to celebrate Earth Day on the 22nd April. Earth Day is a yearly event that raises awareness for the crucial need to protect our environment. 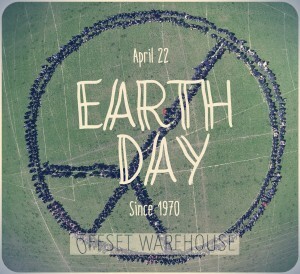 Offset Warehouse exclusively sells fabrics with environmental and social benefits, including organic fabrics, textiles saved from landfill and materials woven by co-operatives and Fairtrade certified manufacturing units. To celebrate Earth Day, we have come up with five creative ways to revamp your wardrobe sustainably! Why not try your hand at a “Zero Waste Pattern Cutting” garment? Zero waste pattern cutting is a method of creating garments that produces little, if no, fabric waste. 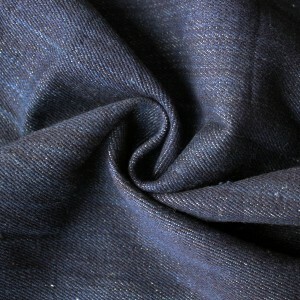 According to openwear.org, a staggering 15% of fabric is wasted by the fashion industry during the manufacturing stage. This primarily gets sent to landfill where it is left to rot, seeping toxic liquids into the ground and contributing to global warming. Offset Warehouse contributor and Creative Pattern Cutter, Franki Campbell, is a huge advocate of the Zero Waste Pattern Cutting movement (keep an eye out for her zero waste posts over the next few weeks), and has supplied us with a fabulous, free kimono pattern you can work on. 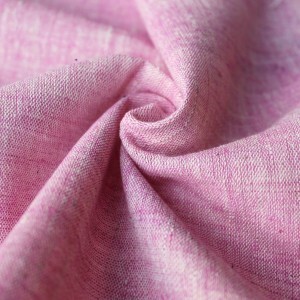 An ideal fabric for your kimono is our pink and white organic stripe chambray, pink hand woven chambray or intricate weave bamboo. We tend to get into a bit of a rut with our clothing, wearing the same few outfits over and over again, buying new fashionable items whilst other old gems fall by the wayside. Kate Fletcher has a fantastic project called “Craft of Use” http://craftofuse.org/ looking at sustainability through the use of clothing and how we are emotionally attached to our items. Think about why you bought certain items in the first place, or good times you had when wearing them, it may make you re-evaluate your go-to looks. Take an hour or two to properly sort through your clothes and look again at the items you haven’t worn in a while, pair them with things you wouldn’t have normally – you never know what you might find. Get your friends to do the same and think about items you could possibly swap or loan to others. Before you head to the high street, go shopping in your own bedroom! During your “Step 2” wardrobe sort out, you’re sure to come across a few items that have undeniably seen better days, hidden at the bottom of your wardrobe, that you simply don’t have the heart to throw away! Well, get them out and rework them! Old and tired garments can easily be uplifted with a little dye. You’d be amazed at the pennies you can save by simply opting for a bottle of dye, rather than a whole new jacket. Why not try some on-trend tie-dying or dip-dying? Upcycling is the act of creating new items out of old or reclaimed products – usually non-fashion items. It’s great for the environment as less waste goes to landfill, and it’s even better for your wardrobe as you can add artistic, one-of-a-kind pieces to your collection, without spending big bucks! REVAMP FIVE: THINK BEFORE YOU WASH! One of the biggest contributing factors to the ecological footprint of our clothes is how we care for them at home. Washing on fuller loads, at lower temperatures and air drying are great ways to reduce energy consumption. However, something else to think about is how often you wear your clothes between washes. It may sound a bit icky but do we really need to wash our clothes as often as we do? 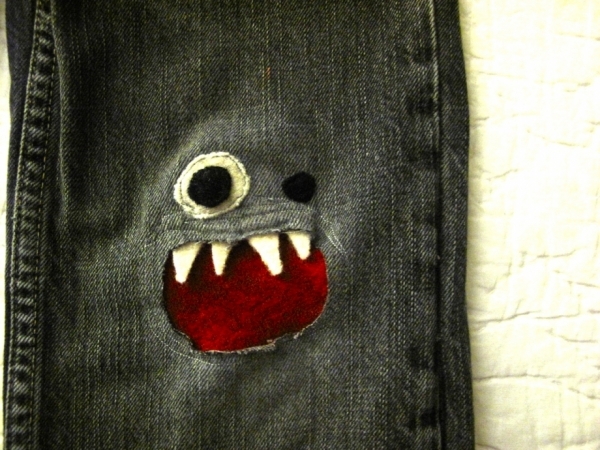 There is a growing trend for unwashed “raw” denim. Instead of buying jeans that are industrially and chemically faked to look worn you can buy unwashed denim jeans that you wear in yourself. This means it hasn’t been chemically washed before you buy it. There are growing raw denim communities like: http://www.rawrdenim.com/ where people share and compare their pictures and tips for wearing in your jeans. 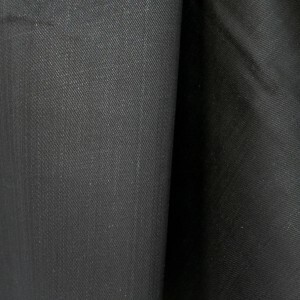 The idea is simple: go as long as you possibly can without washing your jeans from six months to a year, so you get an authentic and unique worn in look. If you’re worried about hygiene, you can easily freshen up your jeans by putting them in the freezer and get rid of smells by hanging them in the bathroom when you shower! 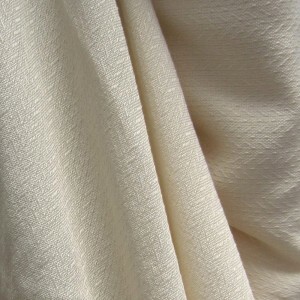 Finally, why not get to that sewing machine and start your own project using eco fabrics? There is nothing more empowering than getting a compliment on your fab new dress, and being able to reply “Thanks, I made it myself!”. We all know it’s virtually impossible to find the ‘perfect’ outfit on the high street, but with you in control of the fabric, shape and cut, you can make something truly individual that you will want to treasure for a long time – much better than buying endless fast-fashion items. 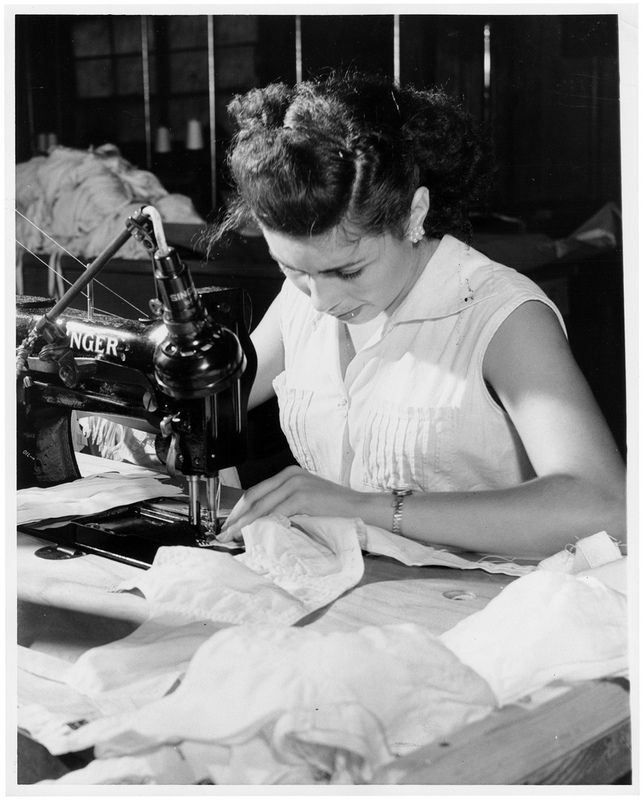 For inspiration, check out our other blog posts – we’ve got some great sewing tutorials. Our fabrics are eco-friendly, socially beneficial and sustainable, with information on each fabric on it’s accreditations and where it came from. 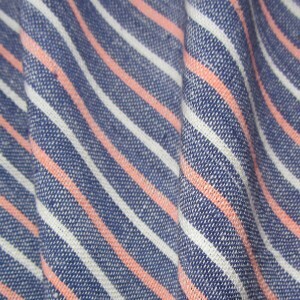 Be sure to check out http://www.offsetwarehouse.com/ for on-trend fabrics and inspiration.